Port Jackson, a dance from 1796. 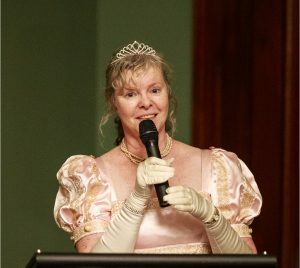 The 2016 Grand Regency Ball at Old Government House, Brisbane, held in conjunction with The Redcoats in Moreton Bay exhibition, Redcliffe Museum. Dr Heather Blasdale Clarke is a dance teacher and historian who has been actively involved in early Australian colonial dance for over three decades. Research includes dances associated with the discovery of New Holland, particularly in relation to William Dampier and James Cook, and the elite dance culture of the early colony. In 2018 she completed a professional doctorate to research the intriguing topic of convict dance. By combining a comprehensive understanding of the many dance traditions relevant to early Australian history, she is able to bring a deep insight to this fascinating study. She has been awarded six research scholarships at national and international levels, frequently presents workshops, and regularly publishes articles on her website www.colonialdance.com.au. Most importantly, Heather aims to enrich Australia’s dance heritage through workshops, seminars and the publication of research findings. This free website provides readily accessible dance instructions, music and history. Clarke, Heather Blasdale (2014) Captain Cook’s Country Dance. Australian Folklore, 29 (November), pp. 71-86. Clarke, Heather Blasdale (2015) Speed the plough. In Hunter, Cynthia (Ed.) The Convict Adventure at Wallis Plains Maitland. Maitland City Council, Maitland, N.S.W, pp. 110-113. Completed professional doctorate at Queensland University of Technology. 25 August 2018 – 18 November 2018. Includes a programme of public events. Completed Project One: Database of convict dance. Pine Rivers Museum. Redcoats: the service and legacy of British soldiers in Moreton Bay – major exhibition August/October 2016. A lecture: Redcoats Reeling: Dance and music in the British Regiment. 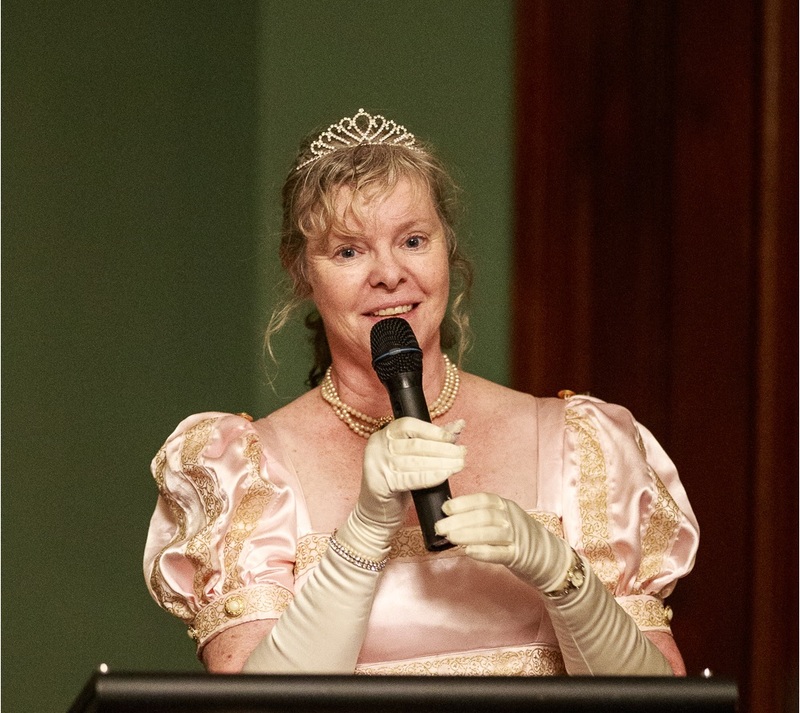 A Charity Ball at Old Government House was held in conjunctive with the exhibition. Attendance at major dance festivals: Eastbourne, Chippenham, Litchfield, and York, plus a wide range of other dance events. Completed Project Brief How did the early Australian (1788-1840) convicts dance? Facilitated by the Australian Folklore Network, the National Library of Australia, the National Folk Festival and the Australia -Asia-Pacific Institute, Curtin University. Chairman of the Australian Social Dance Network. UK organisation researching clog and step dancing. Heather has received six research scholarships from the Australian Folk Trust, the Country Dance and Song Society (Boston, Massachusetts) and Dometsch Historical Dance Society. Performances include dancing at many community events such as regional festivals, school fetes, multicultural events, Highland fairs, small folk festivals and village fairs. More important performances were given in venues such as the Sydney Opera House, National Library of Australia’s World Upside Down Exhibition, Heritage Weeks at the Sydney Town Hall, National Trust properties: Vaucluse House, Hume Cottage, and Lanyon Homestead. Regular performances at the National Folk Festival (1994-present). Heather danced in the 1992 movie “Over the Hill”, and ABC television dramas “The Boy in the Bush”(D.H. Lawrence), and “Tusitala” (Robert Louis Stevenson). Hello . Is the bush dance still scheduled for jan 26th at samford town hall ? Hi Maureen, yes we have a bush dance planned for 26th January at the Farmers Hall in Samford at 7:30pm. Looking forward to seeing you there!